P.G. Wodehouse received his knighthood in the 1975 New Year’s Honours List. His letters from that time, published in Sophie Ratcliffe’s P.G.Wodehouse: A Life in Letters, reveal that he had a busy time with press interviews, as well filming introductions for a new BBC Television Series called Wodehouse Playhouse. I am still trying to decide whether I would advise a young man to become a knight. The warm feeling it gives one in the pit of the stomach is fine, but oh God those interviewers. They came around like flies, and practically all of them half-wits. I was asked by one of them what my latest book was about. 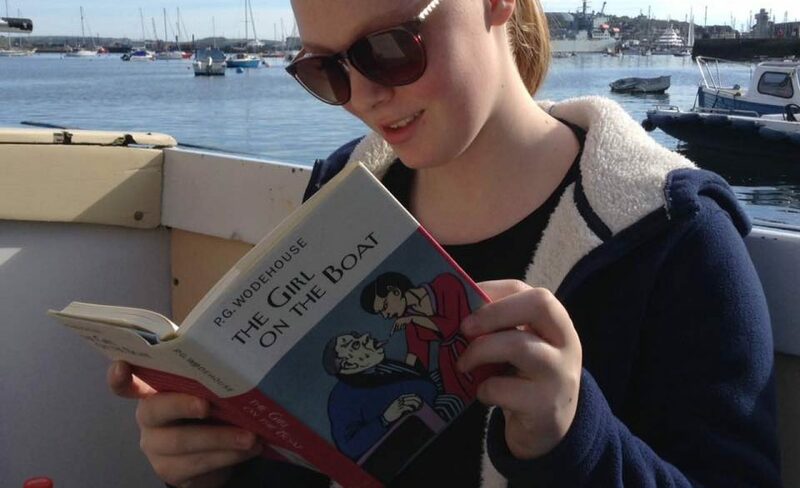 ‘It’s a Jeeves novel’, I said. ‘And what is a Jeeves novel?’ he enquired. This is the last of his published letters. P.G Wodehouse died on Valentine’s Day, aged 93. “I am still trying to decide whether I would advise a young man to become a knight.”- classic Wodehouse, he never really lost it (although there is a peak time for his novels of course), even at that age, quite incredible. I quite agree. Even his letters sparkle. What a juicy start of the New Year. Thank you! My pleasure — Happy New Year Ashok! Good to be reminded of this….Happy New Year!